Posted by Candie Kates on Nov. 18, 2016 9:41:32. Even though most of us are highly careful when handling our smartphones, accidents happen without giving us a single notice of caution. The most common reason for breaking Samsung Galaxy phone is dropping the device on the floor. After all, it has happened; you can do nothing other than staring at the phone and blaming yourself for the careless handling. Even though when it happens the question arising in our mind is about the huge cost of the phone, next comes the fear about the precious data stored on the phone. You are not alone if you get this thought after breaking your phone. The good news is that you can recover data safely without any loss from your broken Samsung Galaxy and you can use an application called TunesBro Android Data Extraction. Before getting started, there are a few things you need to make sure. All data recovery programs require the phone running as normal. So if the program can't be turned on due to hardware issues (dropped in water, motherboard failure, etc. ), then this method will be useless. You'd better to take the phone to a local repair shop to replace the malfunction hardware first. Then follow the guide below to recover the lost data. From the very name of this tool, you can understand that this application will help you recover any type of data deleted from your Android phone. Also, irrespective of the reason for data loss like accident deletion or broken phone, you can use this application for data recovery in the following manner. If you have a PC with Windows XP/7/8/10, you can first download the recovery application to your computer. Here, you can initially opt for the free version. In addition, this program supports a wide range of Android phones and tablets from various brand. Samsung Phone: Galaxys S8/S7/S7 Edge, Galaxy S6/S6/Edge, Galaxy S5/S4/S3, Galaxy Note 7/5/4/3/2 and others. Data Types : Photos, SMS, Contacts, Music, Video, WhatsApp and Documents. No matter you are using Windows PC or Mac, the program can run well on both platforms. Please click the above button to download the installation file on the computer. Then follow the guide to install the program. You can see several options on the screen, please select "Recover from Broken Android " this time. Once the application is downloaded, just connect your broken Samsung galaxy to your computer through USB Cable. Also, you are recommended to connect only the broken phone along to your computer and also do not disconnect the devices when the recovery process still happens. 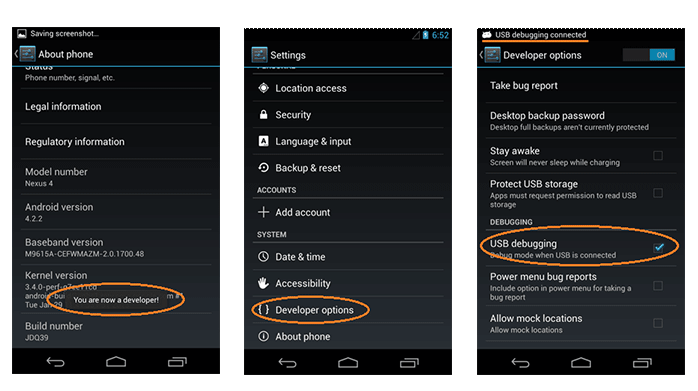 USB debugging and rooting are required to fully recover the data on the phone. Or only a portion of the data could be retrieved with the program because of lack of permission. If you already did this, then skip this step. If not, then you should buy an OTG cable and connect the phone with external USB mouse. So you can make operations on the phone with the mouse. Check out this USB debugging and Samsung rooting guide. Now, selelect a device name from the drop-down list and click "Next". At this time, you should reboot the phone and force it into Download mode (guide). When it is done, the program will download recovery package to the phone. Warning: Please select the correct devcie name from the list. Or the phone would be bricked. In addition, if the device was not listed, it means it is currently not supported by the program. 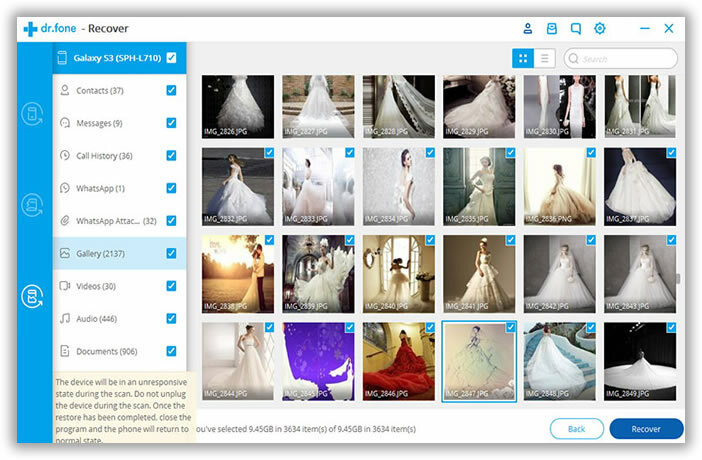 When the download is completed, the program will analyze and scan all the files on your phone. After scanning, all the scanned items are listed in different categories. You can choose all or some of the files to be recovered from the preview and then click "Recover" button. As your phone is broken, just take the backup to some other place on your computer. Not just your Samsung Galaxy phones, TunesBro Android Data Extraction can be used for other broken Android phone for safe data recovery. It will help with recovery of different types of data inclusive of WhatsApp messages. You will be truly satisfied with the trial version of the application. You can then move to the paid version in the future. 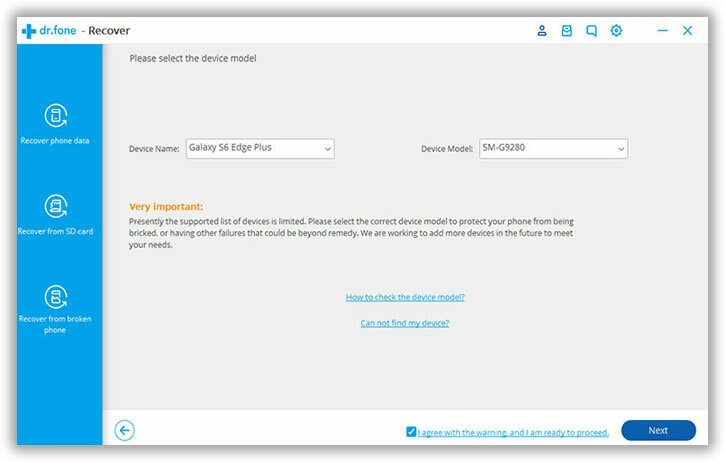 Besides the method mentioned about, you could also pull out of the data on the phone with Samsung Kies or Smart Switch. However, you need to make sure only screen was broken or black. Then connect the phone to computer and turn on USB debugging. This time, rooting is not a must. 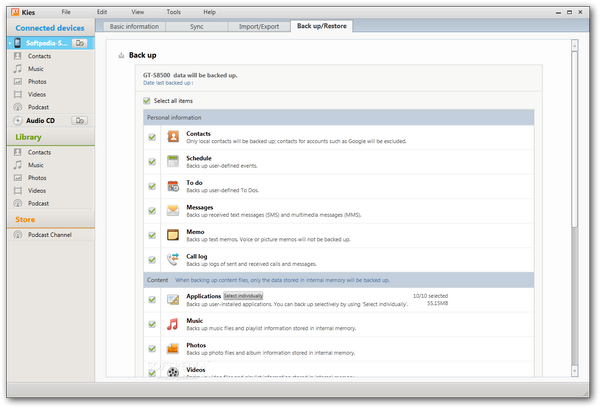 Once the program detect the phone, then select the files you wish to backup. Finally, all selected items will be saved on your computer. You can restore the data once the phone was repaired. Since the introduction of Dropbox, the leading cloud storage service provider, cloud storage is preferred way to backup phone data comparing to the traditional backup method. 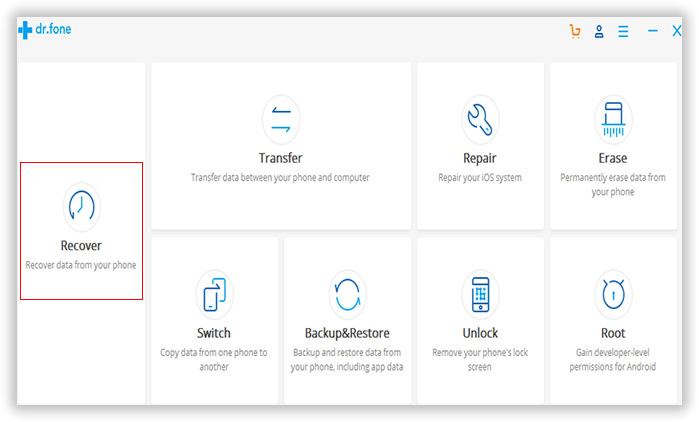 So if you ever backed up your Galaxy phone with Dropbox, Samsung cloud, Google Drive or OneDrive, then it is a simple task to restore deleted files from previous backups. Even the phone was completed dead, you can restore the data on the new phone from the cloud backup. What you need to do is only installing the app and syncing it with cloud server. All stored data will be restored to the new phone.